Elliot was born in Northumberland, the son of a farmer. While working for a stagecoach company, he met Ann Graham, the granddaughter of Joseph Paisley. They were married in January 1811 at the village church in Gretna Green, as was considered proper; very few of the local people were married in the 'irregular way'. The couple lived with Paisley, and Elliot assisted the old man with his marriage ceremonies. 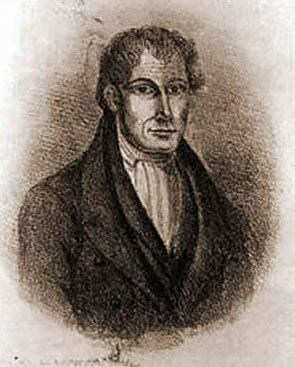 When Paisley died in 1814, Elliot was a natural successor and he continued the marriage trade. In 1842 Elliot had his memoirs published. In them, he states that he performed between 4,000 and 8,000 ceremonies. He also claims that he was the only priest working in Gretna Green at that time and had been for the last thirty years. However, it had been put beyond doubt that there were at least two other priests at the time. The majority of Elliot's history is taken from his memoirs in which he also gives accounts of "noteworthy elopements" but it is likely that the events of some of his stories occurred before he became a Gretna Green Priest. Unfortunately, the majority of his registers and those of Paisley were lost when Elliot's handicapped daughter set fire to her bed one night and burned herself to death together with the registers that were stored on the bed's canopy.